Tiered, plush conference lecture theatres from 86 – 300 delegates. What does it cost to attend, exhibit or sponsor? The most discounted rate is £205 in 2014. This corresponds to 42% off. The standard rate is £349 in 2014. There is a 10% discount for early bird bookings 2 months in advance. On top of this, there is a 5% discount for payment by direct by BACs or cheque (why? Because e-commerce providers charge fees and keep the money until after the conference!) On top of these discounts there is a 30% discount for full-time entrepreneurs, academics and public sector. So the total discounts range from over 40% (£205) down to standard rate (normal exec paying by card near the conference). Those marketing as sponsors have 3 options: Lead or Conference Sponsor (1 of); Stage Gold Meme Package (3 of); Exhibition & Pitch Sponsor (6 of). 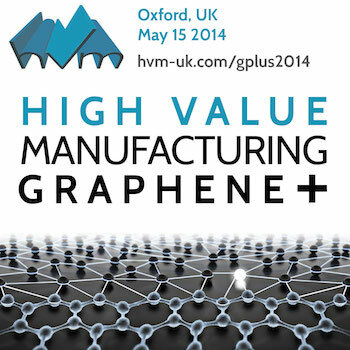 Please call CIR 01223 303500 for costs of marketing packages for Oxford and for the HVMG Series. Bookings are held for 24 hours with full refunds to that point, after which you may only substitute your booking or receive conference summary and slides straight after the event. How can I sign up? The booking form enables this at the top of the page here, for all series events including this event. It is simple, quick, mobile- and tablet-friendly and it takes a few moments to register. You can pay at the site by card via eventbrite or pay direct by BACs or cheque on receipt of the booking auto-email. We can take your booking details over the phone at 01223 303500. What type and level of delegates attend? This conference is a “must attend” meeting for companies, executives, entrepreneurs and university business development people. It is a mixture of leading researchers, innovators, executives, public sector people and service providers. The typical level is CxO, director, senior manager, interspersed with top students and MBAs seeking to learn and join or build companies. CIR invites you to become one of the best business delegates in the world, nurturing your business development and personal and corporate success by leaning into the value network. Who is speaking? The Chairman is Professor Pete Dobson. He is followed by Professor Vladimir Falko, an expert on carbon-based materials and graphene. Invited players range from leading multinationals to small young companies with IP in these areas. The full agenda is typically completed around 8-6 weeks before a conference. Who are the organisers? CIR have been organising and innovating across HVM and Smart Conferences & Briefings since 2002, with over 3000 delighted delegates. What is the format of the conference? The conference has 4 discussion sessions. There are networking sessions not to miss at registration, 2 coffee breaks and an hour for a lunch exhibition 1-2pm. There are usually drinks networking at the end of the conference too when many delegates like to unwind! There are at least two relevant TSB feasibility study funding rounds going on around graphene and manufacturing electronics around the same time as this conference – some of those consortia and team-building & bid-making for the millions of pounds of grants will likely take place at this conference. Will I be able to arrange private meetings at the venue? Is there wifi / productive work space at the venue? Yes and yes. Just let the Front of House know on the morning, any names of delegates listed that you are looking to meet and she will arrange it with the other person where possible, for you.